With the opening of The Pumpkin Patch: The Flesh Yard on Friday, October 14, Orange County will have a quartet of active Halloween haunts you may wish to check out. Though located southwest of Los Angeles, the haunts are worth the trip: within easy driving distance of each other, they offer a full evening's entertain, spanning the spectrum of horror from old-school to interactive to extreme. We have listed the haunts in the order you will find them on the map at the bottom. If you follow our suggested route, the total distance between haunts is under 30 miles, with an estimated drive time of 35 minutes. 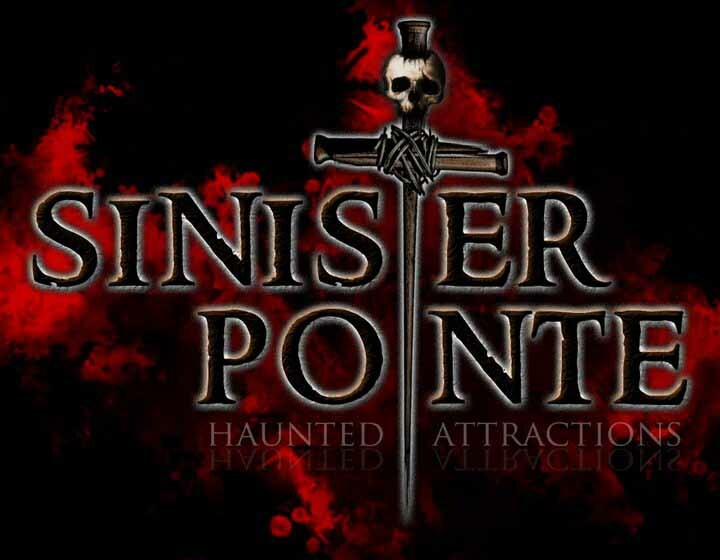 2016 Attractions: Sinister Pointe presents a single maze that splits off into four realms, allowing guests to choose their adventure. Hours: 7-11pm on Fridays & Saturdays; 7-10pm on Sundays and weekdays. Tickets: $15 for General Admission, $25 for VIP front of the line. Discounts: 2-for-$20 tickets on Wednesdays, Thursdays, and Sundays. 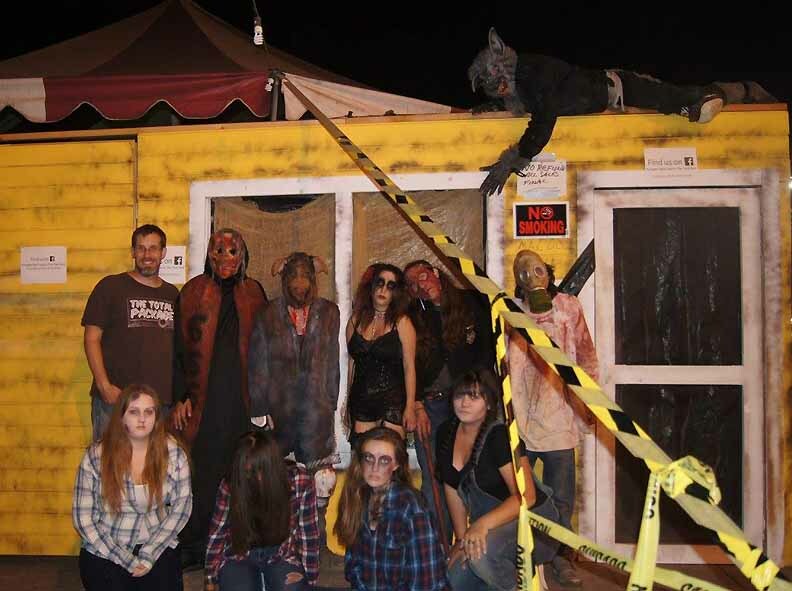 A mixture of maze, walk-through, live actors, animatronics, and other effects, this attraction uses its motel theme to create a memorable and distinctive haunt experience. Its debut for Halloween 2015 was good; this year, it's even better, a revised floor plan maximizing the potential. 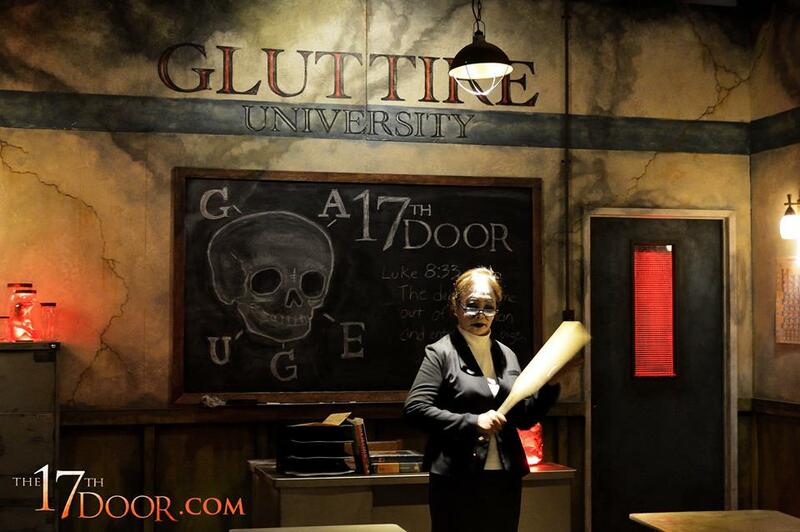 After making its debut in 2014, the 17th Door returns, offering a 34-minute tour of terror, forcing visitors to walk in the shoes of a traumatized university student struggling through psychological evaluations and painful childhood memories. 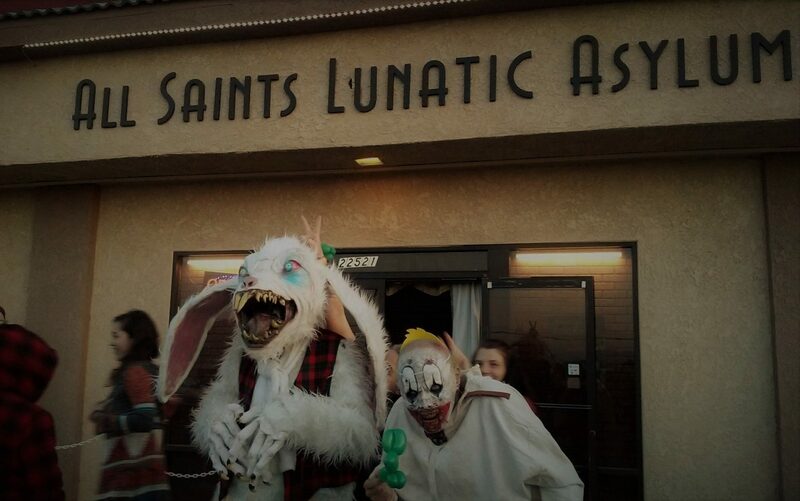 This is an extreme haunt that requires visitors to sign a waver. An additional $5 can purchase a Mercy Pendant, which will spare more timid customers from being shocked, separated from their group, or coming in contact with bugs. Located on a pumpkin patch on the corner of Imperial Highway and La Palma, this professional walk-through is the brainchild of the creators of the Perdition Home Yard Haunt. The Flesh Yard made its debut in 2015, offering creepy sets bedecked with animal skins and corpses, slaughterhouse crazies in pig masks wielding chainsaws, an amazingly athletic werewolf, and a trip to the infernal region, with a demonic character welcoming visitors to hell. 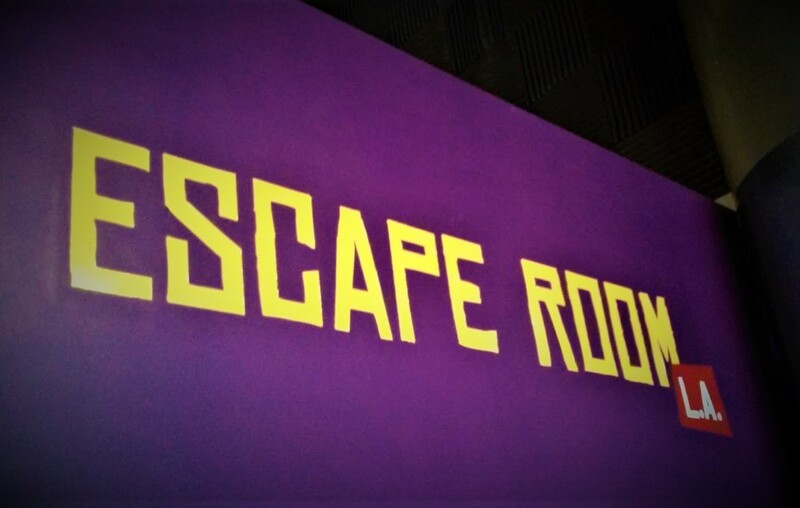 Though the walk-through was not particularly long, it did make good use of its available space, with some clever touches that turned the experience into something more than maze with monsters around every corner.